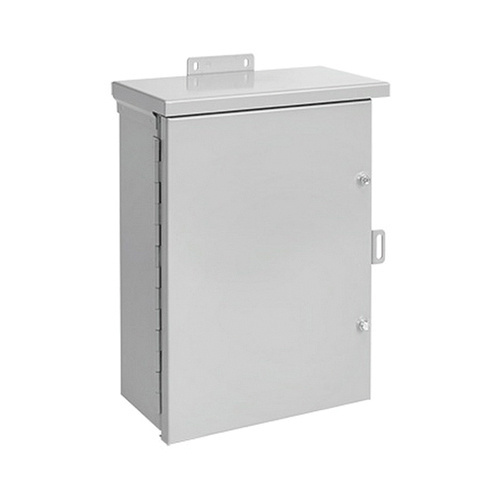 Hoffman nVent Medium hinged cover enclosure features 16-Gauge plated steel continuous hinge with stainless steel pin. It comes with captive plated steel screws for securely fixing the cover. Enclosure comes with collar studs, for mounting optional panels. The enclosure measuring 16-Inch x 12-Inch x 6-Inch, ensures padlocking using hasp and staple. This enclosure has no gasketing and knockouts. It is suitable for providing protection from rain, sleet, snow and dripping water. 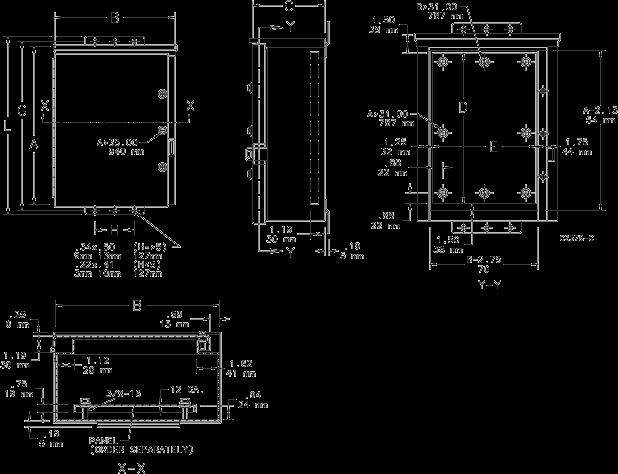 The enclosure meets UL, cUL, CSA and NEMA standards.